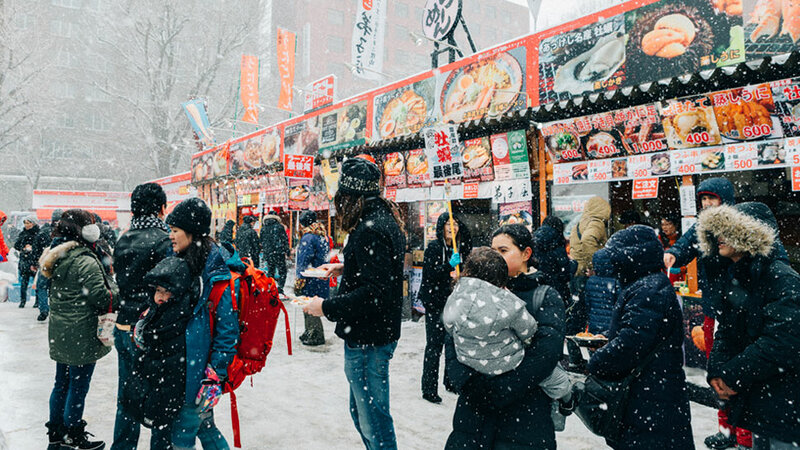 He's capturing moments that most people may never experience in their lifetime. 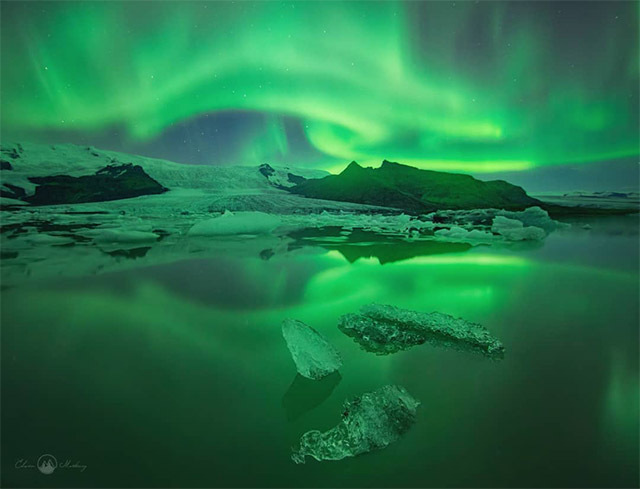 Filipino landscape photographer Edwin Martinez has dedicated the past five years of his career to capturing the magic of the aurora borealis, also commonly known as the Northern Lights. 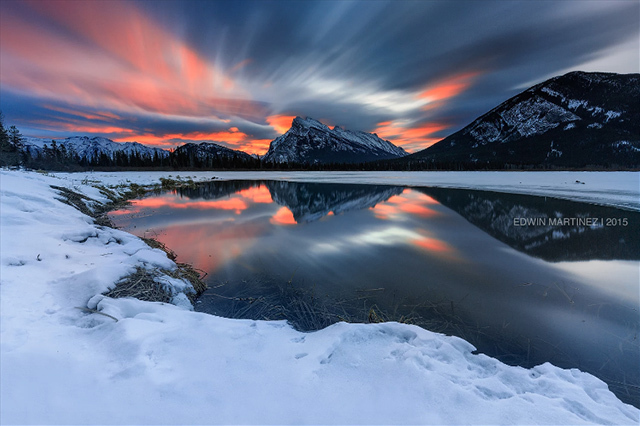 He's traveled as far as Iceland, Norway, New Zealand, and Canada in the hopes of capturing nature's work of art. Luckily for him, the lights have come out to play. 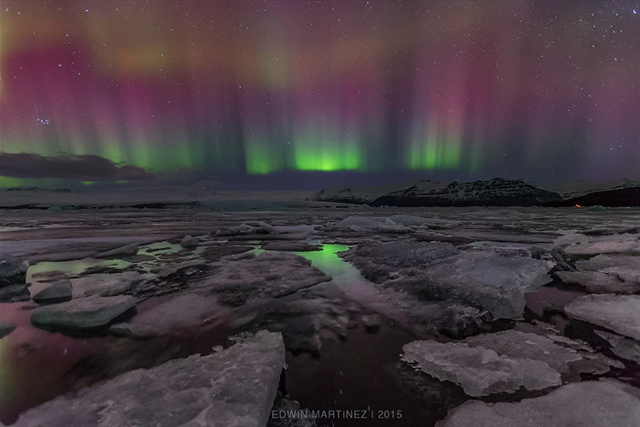 Martinez ocassionally hosts guided photo tours in these far-off locations as well, giving others the rare chance to experience the lights and other majestic sceneries as he does. 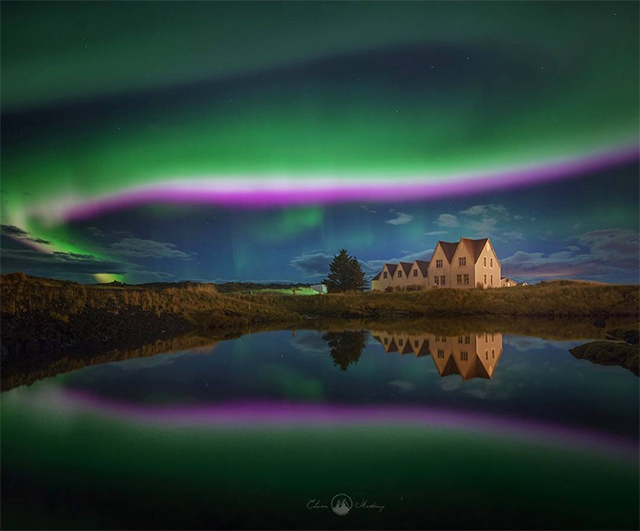 This shot was taken in Iceland last December. 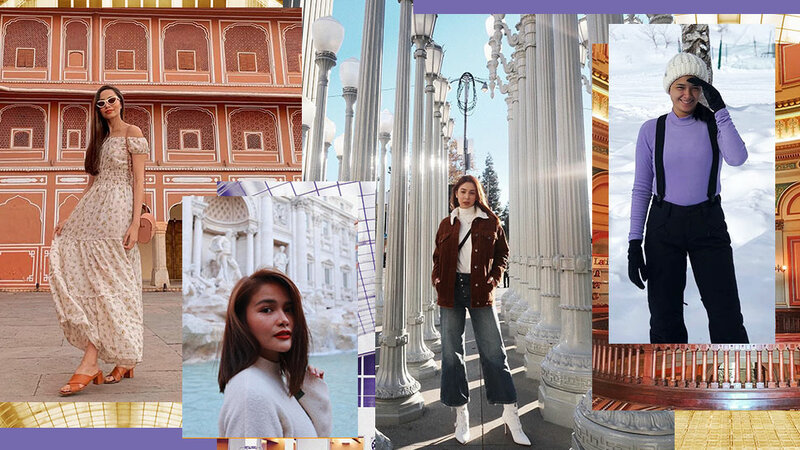 "Stop, linger, and wonder," he captioned the post, "One of the many wonders that makes me thankful for being able to experience it." 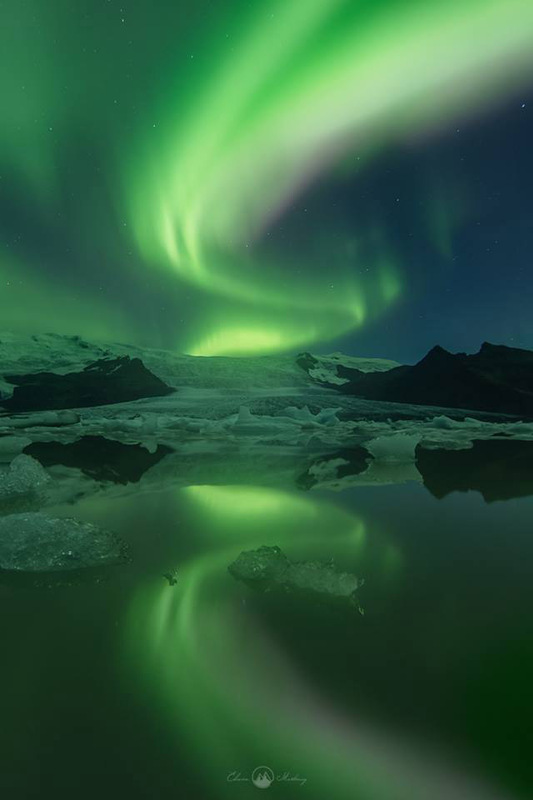 Martinez was also able to take this mystical photo from the Vatnajokull Glacier in Iceland. 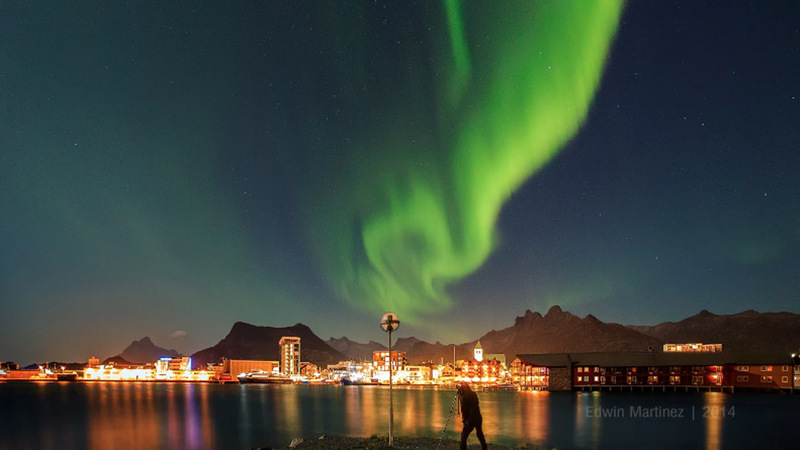 A streak of green illuminates the city Svolvear in Lofoten, Norway. 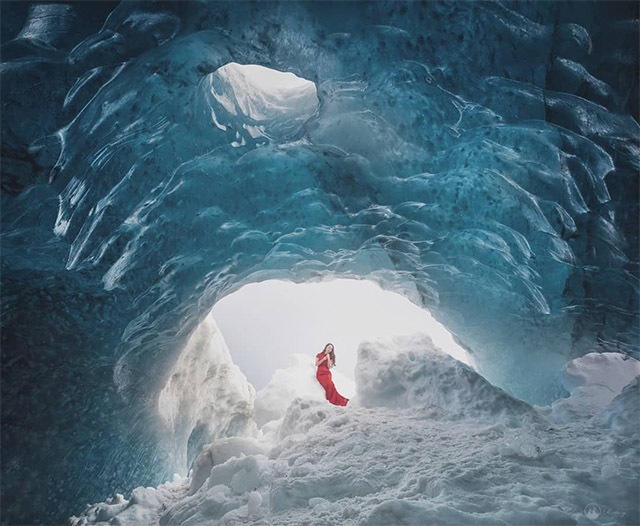 This photo of an ice cave is almost biblical. 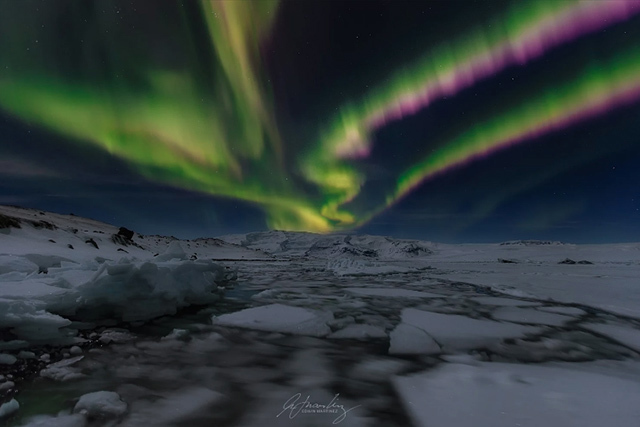 The green lights are tinged with purple and white during this moment at Jokulsarlon, Iceland. 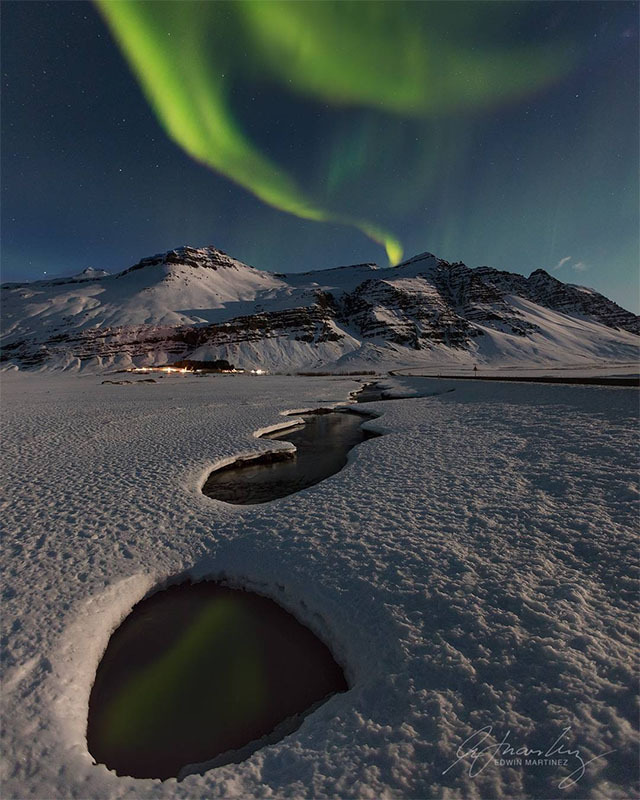 Snowy mountains meet the aurora. 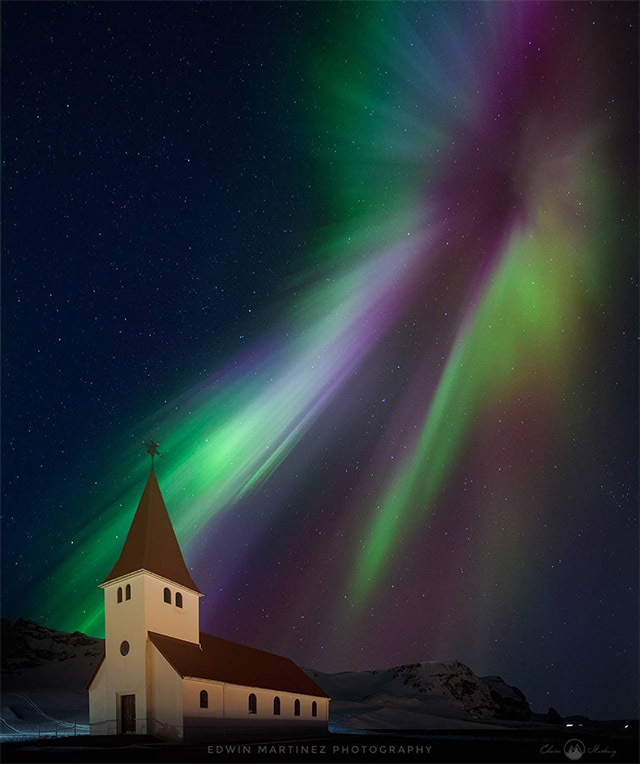 A symphony of lights rises just beyond the horizon. 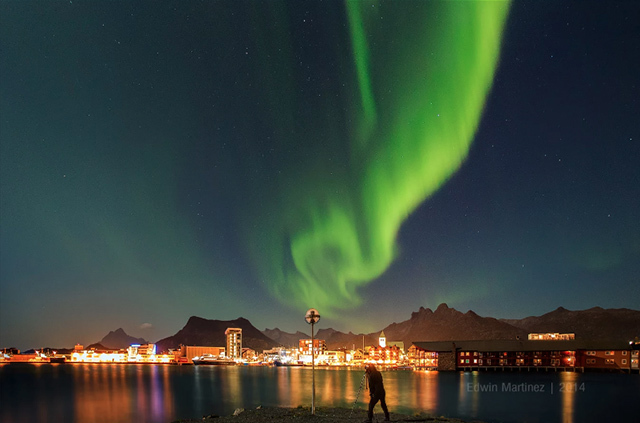 Apart from the Northern Lights, Martinez also takes stunning photos of nature's other wonders. 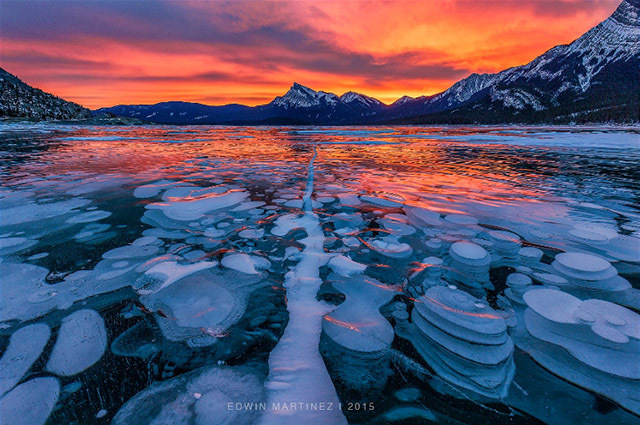 Methane bubbles form at the Abraham Lake in Nordegg, Alberta. 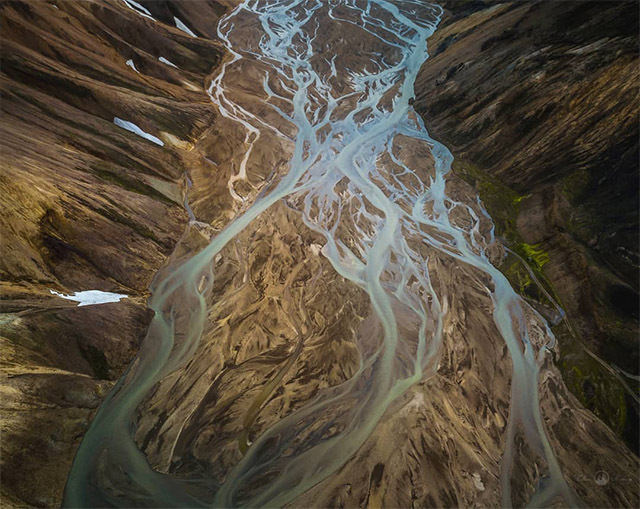 A river branches out beautifully at Fjallabak, Iceland. 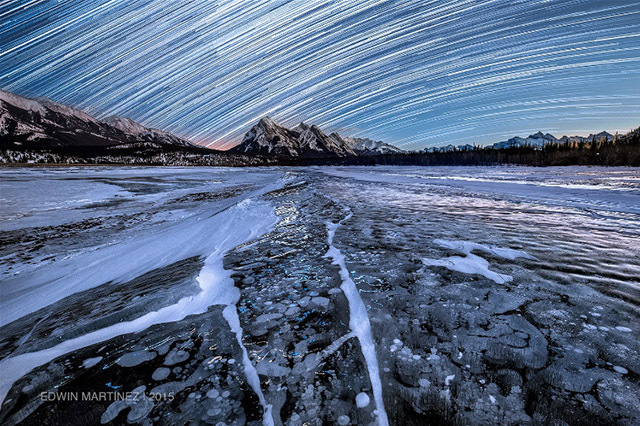 A rush of stars illuminates the sky in Alberta, Canada. 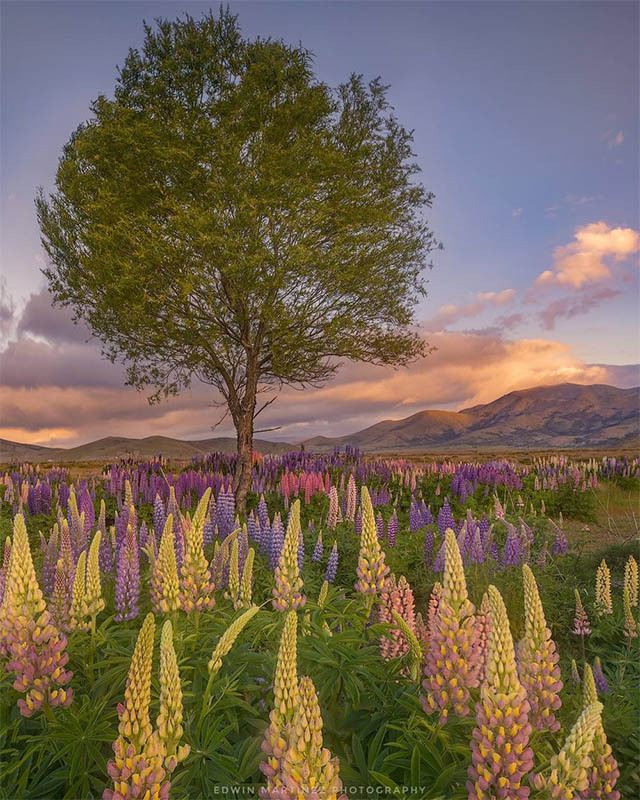 Lupins dot a field in Lake Tekapo, New Zealand. 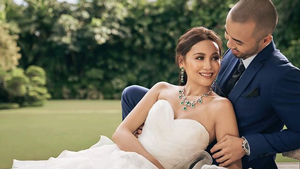 To see more of Martinez's work, follow him @EdwinMartinezPhotography on Facebook and @edwinmartinez on Instagram.